The artwork uses audio recordings taken above and below the river water and along the trails bordering it. Rulon combined it all to craft an experience that digitally streams via STQRY smartphone app to Sammamish River Trail users (walkers, bikers, and runners). See and hear and excerpt of Ripple. The music of Ripple was shared live in concert at a secret location near the river, Friday night, August 8, 2014. 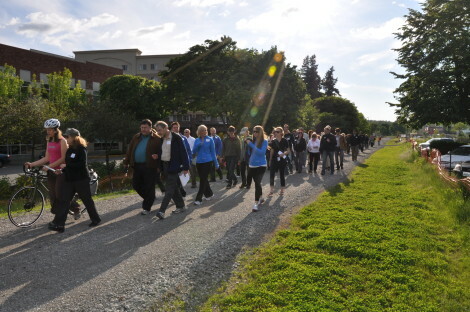 FREE WALKING TOURS about the history, nature, and beauty that surround the river are hosted by Feet First. The walks share local insight into Redmond’s walkable hidden treasures. RSVP now for a Feet First walk and/or the August 8 walk and free concert. 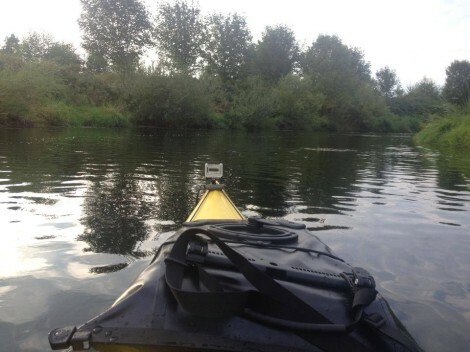 After decades of neglect, the Sammamish River has been rediscovered. Once again it is a link shared by Sammamish Valley locals, as well as residents from across the Seattle area, and even tourists. What started as the valley’s first “highway” is now a vital part of its premier recreational route for bikers, pedestrians and kayakers/canoeists. Lost in that rebirth, however, is the river’s history. For example, relatively few know that in the late 1800s, river steamboats were the sole means of getting settlers to the valley from Seattle. 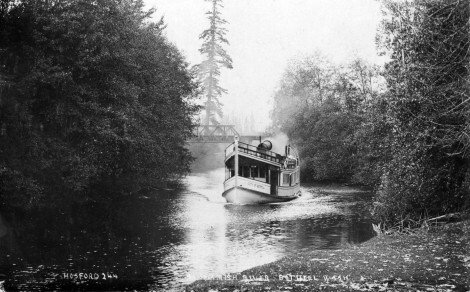 By the early 1900s, the river was in less demand due to the advent of rail service and roads built around Lake Washington. To reduce flooding, the once meandering river was straightened and dredged in the second half of the 1900s by the Army Corps of Engineers. As river transportation and commerce waned, neglect of the river set in, with one exception. The Sammamish Slough Races, an annual race boat and water ski competition drew thousands, until an injury accident in 1976 forced that event’s abrupt end. In recent years, boaters have rekindled The Kenmore Hydroplane Cup at the mouth of the Sammamish River racing out into Lake Washington. 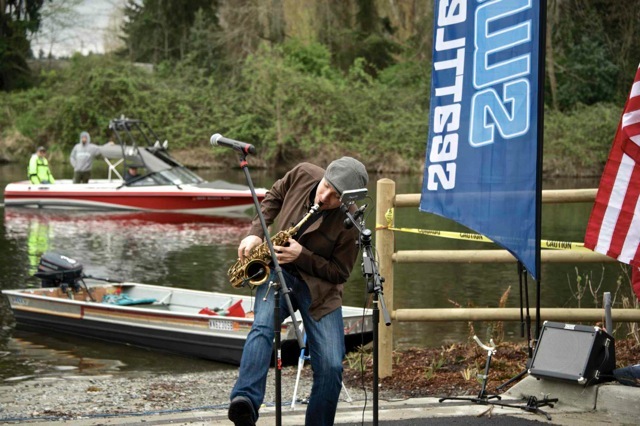 Rulon shared the first public performance of music from Ripple at the 2014 The Kenmore Hydroplane Cup. Ripple is proud to be part of 4Culture Site Specific, the art program that encourages artists to create in direct response to a place.